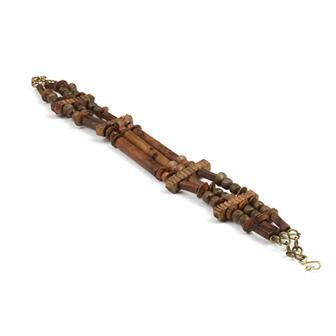 We now stock a selection of beautiful Fair Trade bracelets and necklaces. We are particularly proud to stock the amazing Bombangles from Laos. 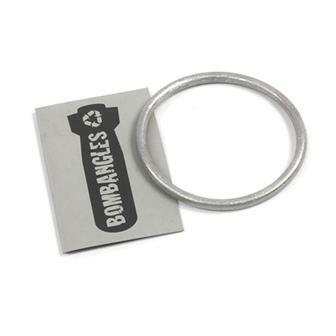 Elegant Aluminium bangles made from bombs! Produced in Laos using responsibly sourced and safely deactivated UXO (Unexploded Ordnance) these bangles not only help provide an income to artisan families high in the mountains of Laos, but also a percentage of sales will go to the land mine charity MAG and to the Luang Prabang school LEOT. 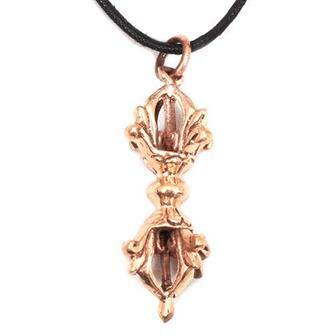 These beautiful little dorje pendants are perfect for wearing around the neck as a reminder of the item's powerful symbolism. 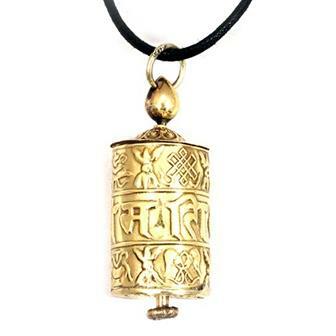 These charming little prayer wheel pendants each have a small scroll inside with Om Mani Padme Hum written on inside. They serve as an excellent reminder of the teachings of Buddha. 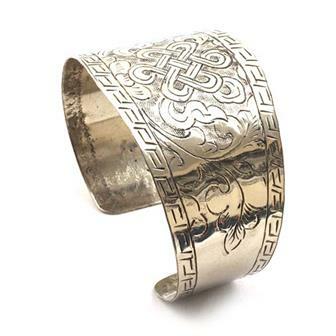 Elegant white metal bracelet carefully hand etched in Nepal with a variety of Buddhist symbols, these chunky bracelets add a touch of style to a outfit. 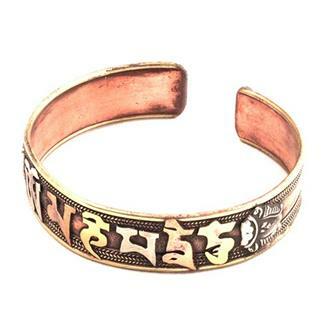 These beautiful copper bracelets have the mantra Om Mani Padme Hum running around the outside. 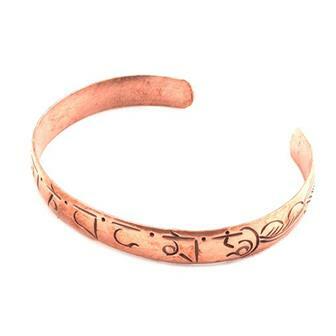 These beautiful copper bands have the mantra Om Mani Padme Hum etched around the outside. 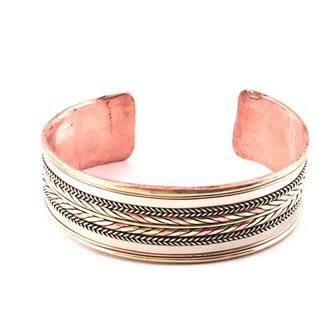 These banded copper bracelets are hand made in Nepal and feature a series of banded, patterned metal. 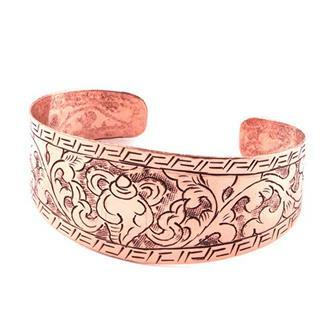 Elegant copper cuff bracelet carefully hand etched in Nepal with a conch shell, these chunky bracelets add a touch of style to a outfit. 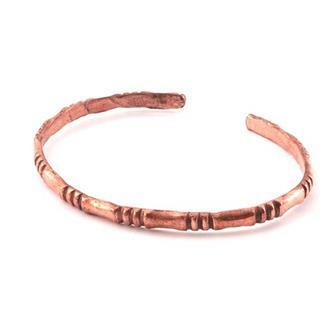 These simple and elegant copper bracelets are handmade in Nepal and feature a simple triple etched design. 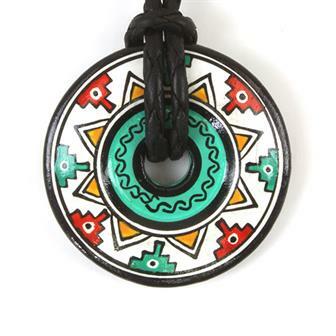 Fired clay circular pendant from Cusco, Peru. 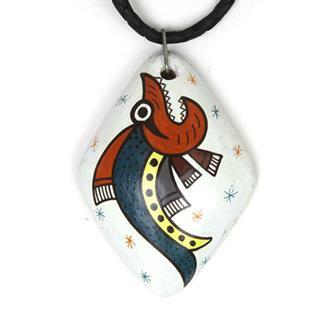 Skillfully hand painted in a variety of bright pre-columbian inspired designs, these wonderful ceramic pieces are both eye catching and have a lovely feel to them. These wonderful, chunky clay pendants are adorned with a selection of designs reminiscent of the huge Nazca lines. These big, colourful pieces depict various animals and symbols and are sure to make a statement. Hand painted in Cusco, Peru. Made with a variety of different shaped, rustic clay beads from Peru, this simple yet striking bracelet is great little accessory. 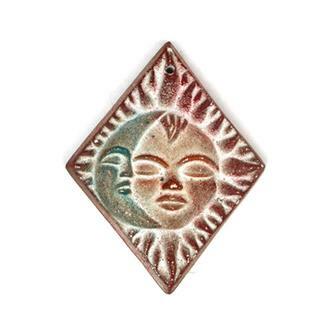 Attractive ceramic piece in the form of a diamond shaped sun and moon design from Cusco in Peru. Large Peruvian fired clay bead in a Pre-Columbian style design. 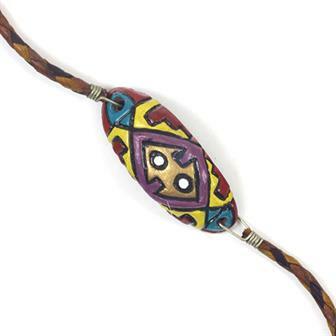 Hand painted in a variety of colours, each one is threaded on plaited leather cord with a metal clasp. 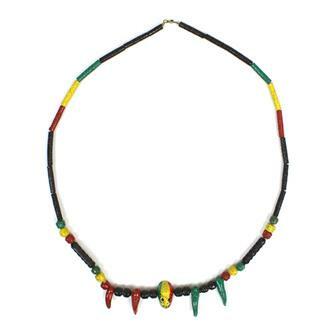 Beaded necklace made from fired clay in Peru in bold summertime Rasta colours available in a selection of righteous designs. 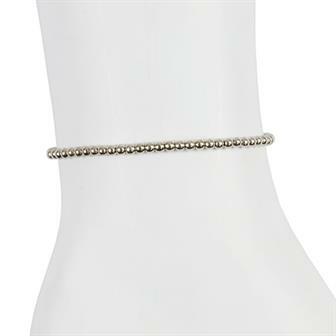 Add a little bit of sparkle to those ankles with our simple metal bead anklet with adjustable slip knot. 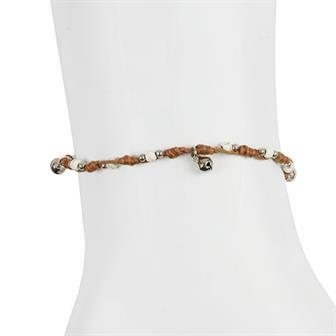 Add a bit of chic to your ankles with this lovely woven waxed cord anklet interspersed with beads and teeny tiny tinkling bells. 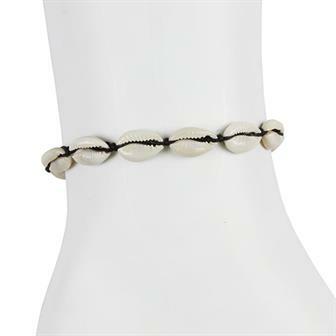 Get that castaway chic style with thess lovely beach anklets made from shell pieces and waxed cord.